The Remnant have been driven back—for now. But Trey is determined to uncover the secret of what really happened three hundred years ago. The answer is not at all what he had been expecting. Now Arra and Trey are in a race to stop the Cothellon’s horrible plan—a plan that will destroy the entire planet. But when Trey is captured by a dark magician, mysterious memories begin unlocking in his mind. He doesn’t know who to believe: himself, or his horrible mindmaster. When it finally comes, the truth is something even worse. 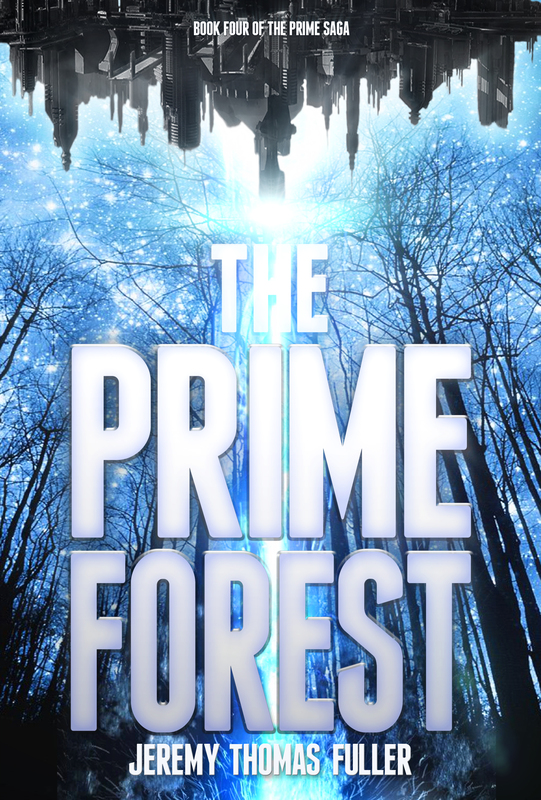 EXCERPT This excerpt contains spoilers for readers who have not yet finished THE PRIME TREES. “Report,” Quynn said into the mouthpiece. He hated using this old radio technology. “They tested him,” the voice on the other end said. The tinny sound made Quynn wince, so he turned it down a little. “And?” Quynn asked. The man he was talking to was intolerably slow. Quynn willed himself to be patient. Quynn felt his blood run cold. Could it be? Had his suspicions been correct all along? He spoke into the communicator slowly and clearly. “Which Talent did he Align with?” Quynn asked. “All of them,” the voice said. So that’s where the Book went. If he could pair the Book with the Staff…the possibilities were endless. “Get your hands on that Book,” Quynn ordered. Quynn clicked the communicator off and leaned back in his chair. Lights flickered and flashed along the rows of desks. The screens ahead were dark, the control room empty. Quynn allowed himself a moment of glee. This was it. After all his work, all his planning, his project had finally succeeded. When everyone had said it was impossible, he’d done it. He’d found one. Or at least half of one. He wondered if that could be fixed. Regardless, it was time to bring the boy back into the fold. The elves on the ground had outlived their usefulness. He tapped his communicator and waited for the call to connect. “You really found one?” Grathgor asked. He sounded skeptical. “I will. She will be very pleased.” She would be less pleased if she knew his next move, but he saw no need to tell her. It was all finally happening. “Very well,” Quynn said into the communicator. Quynn chuckled, the laugh sounding strange in his own ears. “You have a deal,” he said, and clicked off. Quynn ran his hand over the polished surface of the deep black desk. Purple and blue lights played along the metal like dancing fireflies in the night. He smiled a wide smile, then stood and strode out of the room. He had one more task left to accomplish.